I read somewhere about motherhood being the least secure job in the world. As soon as you get the hang of something, such as living with a toddler, it becomes obsolete and you move on to the next phase. As soon as you establish a family routine, the kids have newfound independence and opinions. But this, of course, is the point of it all – preparing your children to leave you. The best thing about being a parent is when you see that your child is going to surpass you, that their curiosity will take them to places and teach them things that you never even thought about. We have raised strong and independent girls. As a result, we have to respect their choices, we encouraged them to see the world, to spread their wings, so we have to accept where they choose to settle and live their lives. Give them roots to keep them grounded through tough times. Give them wings to soar above everything, explore new worlds and fly farther than we ever did. And fall and get back up myself, so I can learn to fly. And they could just be granted. I’ve been staying with my Mum for a few days and our conversations have often drifted to family and past generations. We come from a line of strong women. A few years ago I enjoyed months of studying genealogy and spent hours tracing my family online, getting copies of birth, marriage and death certificates, searching census documents. She was 27 years when I was born, but was soon divorced so she never had the other children that she’d hoped for. She raised me as a single parent in the 1960’s, working four days a week. She remarried aged 38 but was widowed fourteen years later. She is now in her early 80’s living independently, driving, involved in local church and choirs, with a strong network of friends. She had two daughters when she was 26 and 30 years old. At the beginning of World War II she lived in London suburbs with girls aged 6 and 2. Her husband was in the print trade and was exempt from military service partly on age and partly on family medical grounds but he was an ARP warden. They had street bomb shelters and later, an Anderson shelter in their front garden. 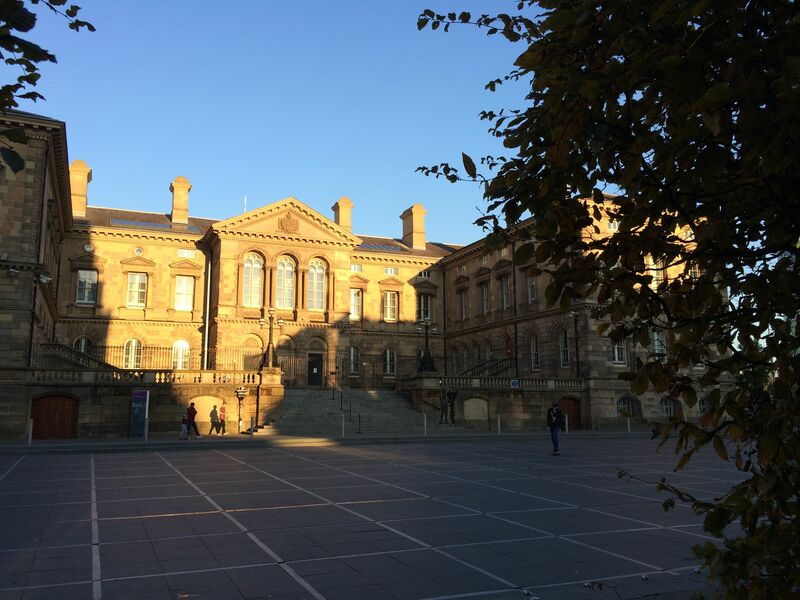 During the war, their three bedroom mid terrace house was home to the four of them, Ella’s parents and her youngest sister, five adults and two children. How did she cope with those war years, through the Blitz, with stray bombs landing in allotments across the road? Her children were not evacuated, but kids who lived on the other side of the “main road” were evacuated, with the school. My father was one of those kids, which is another story. How did those mothers cope with their kids sent away, with no choice, to the unknown, with no household telephones, none of todays communications? She was a domestic servant at the age of 14, working away from her parents home. She married a widower who was twenty years her senior and who already had 8 children. His trade was painter and decorator. Alice took on the two younger step daughters and had four daughters of own, when she was aged between 27 and 37. (Ella was second eldest of the four girls). Alice and her family lived in a top floor flat in Chelsea, London. They had three rooms, a toilet and sink on the landing. At the beginning of World War I, Alice’s daughters were aged 9 down, with a baby on the way. What was her life like raising a family during these war years? A decade ago, my Mum, C~M and I wandered around the streets of Chelsea. We actually rung the door bell of the house where Alice had lived. Fortunately the owner was not shocked by our strange visit and was willing to show us the upstairs of his house. I saw the current decor, but my Mum saw the rooms as they had been during her childhood. She saw the room that had been the kitchen, pointing out where the range had stood, but with cold water only plumbed to the landing. 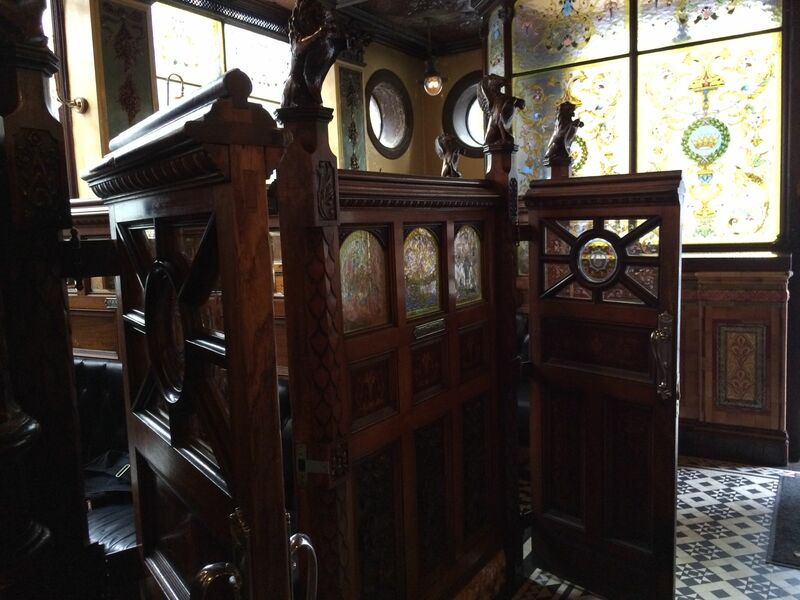 She saw the front room where there were arm chairs, but was also where her grandparents slept in a big brass bed. The small third room was where Ella and her sisters would have slept. It was a fascinating visit to the past. She had 9 children, when she was aged between 26 and 46. Two died in childhood, one as a baby and one daughter aged 8. (Alice was sixth in line and was ten years old when her eight year old sister died.) Sarah and her family lived in a cottage in rural Essex. Her husband was an agricultural labourer, as were several of her sons. The youngest son was working as a market gardener at the age of thirteen. She had 7 children when she was aged 27 to 42. She grew up and stayed living in the next village to where Sarah moved to, her husband was also an agricultural labourer. Sarah was the eldest girl but with two older brothers. Mary was born in 1808. Although not in this family line, one of my other great grandmothers was also an amazing women. She was married at age 19, when seven months pregnant. She had ten children over a period of 23 years. Her second daughter died aged 13, her third daughter died when just one year old. She worked as a servant when first married with two children. She was widowed in 1914 when she was aged 47. At that time she had eight children who were aged between 28 and 5. Her eldest daughter had married and emigrated to Australia, the two eldest sons both served in WWI. Again, what was her life like, raising young children alone during the war years, with her older children in far off lands? 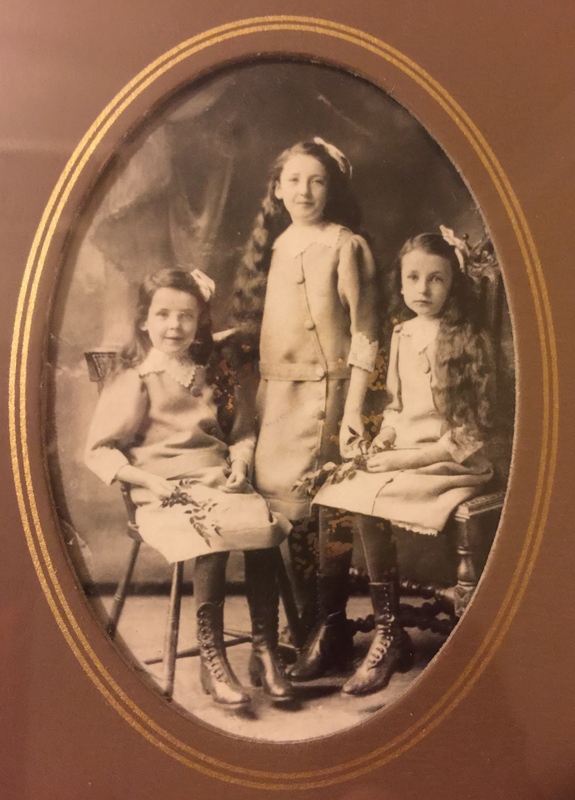 Ella on the right with her sisters. I have been corresponding with friends and family overseas for a long time. I have kept in touch with friends I met on my original gap year to Australia and New Zealand, with a school friend who settled in Canada, with work colleagues returned to their native lands. And with my in-laws. Aussie Mate was not good at writing to his family. He was happy to make phone calls, but that was infrequent due to the cost back in the 1980’s. So when we got together I began writing to the two sides of his family. 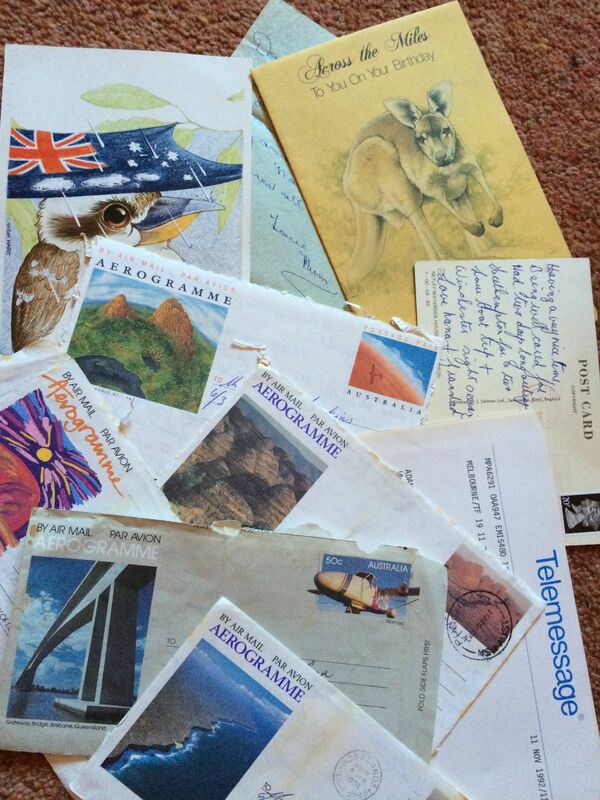 Looking through the box of letters that we’ve kept, our correspondence must have been prolific. As well as birthday and Christmas cards, and holiday postcards, there are letters on air mail paper and a couple of telegrams. A very early one addressed to Aussie Mate just states “ We’re alive, are you? love Father”. There are pre-paid aerogramme letters with the tabs that you folded and stuck down once letter was written. But on occasion we opened it incorrectly so it is a puzzle to now read it in the correct order. It is nostalgic re-reading snapshots of people’s lives, back when we were all single, before marriages, before kids were born. It is also happy and sad to read letters from people no longer with us, from great grandparents, grandparents and a parent. It is lovely to remember the odd idiosyncrasies – Father always wrote in pencil – Nanna wrote on odd scraps of paper – sister typed from work on headed paper of the time. I have a few letters from my own family, but as they were local we did chat on the phone and saw each other frequently. I do have a few letters from my grandparents. And I recognise the hand writing on the envelopes even though the letters are over twenty years old. Now that we all correspond by email, text and electronic message, what will future generations have as keepsakes? How many physical memories do you keep? The past few days of sorting out and packing up our home has been a slow progress. Some cupboards or wardrobes are quick and easy to sort. But a box of letters, cards and several “family boxes” have been too full of memories. 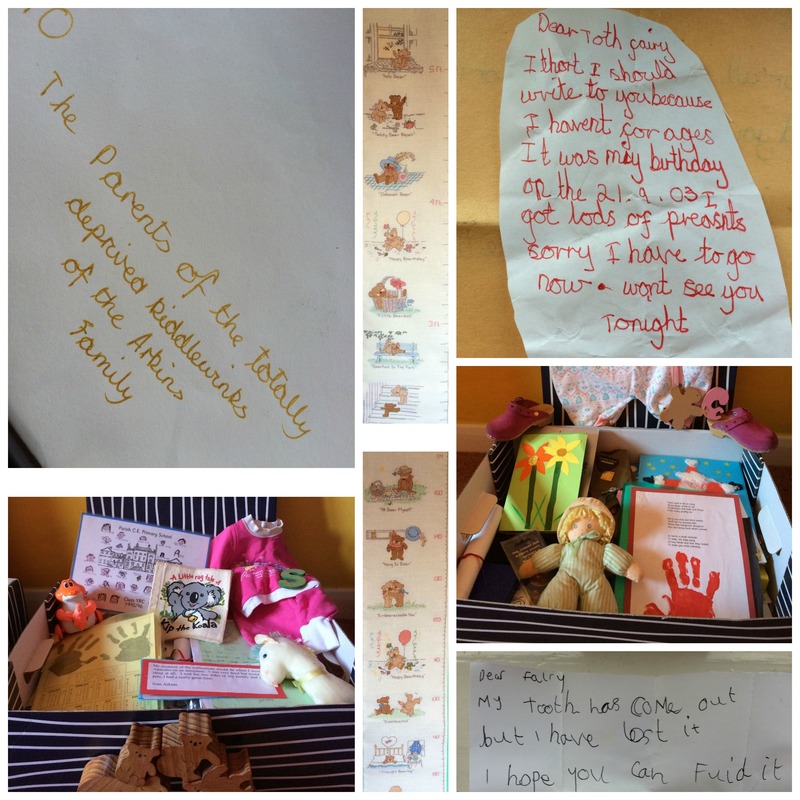 I knew I’d kept cards when our girls were born, a first outfit, a favourite toy, a few items that the girls had crated at nursery, or in their first years of school. I knew that great Nanna had knitted baby jacket, bootees and mittens but I had forgotten just how tiny there were. I had forgotten notes that they had written to the tooth fairy, official GPO letters that they had received from Santa, random hand made Mother’s and Father’s day cards. There was an empty envelope with an interesting address. I knew we had school year photos, including a millennium photo of the whole school, (how did they manage to get three hundred and fifty kids to stand still for that?) 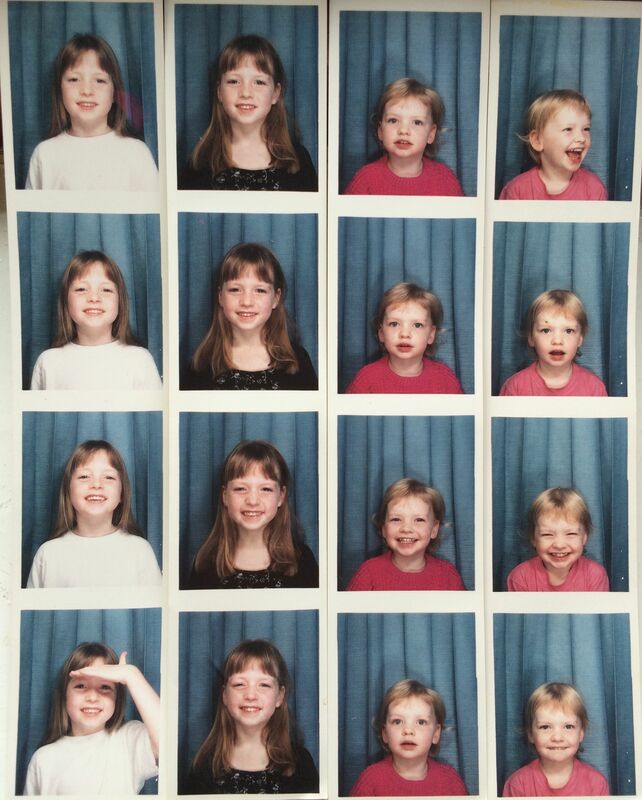 I had forgotten strips of photo booth pictures. I’ve kept all their school reports, but reduced the school work that I’m storing. We now have a box for each girl and one shared “family box”. Some cultures have been based on verbal history, passing memories from generation to generation via stories, fables, songs. Other cultures have relied on written communication, script, pictures, written word. We have a mix but physical things act as an instant visual memory jog. 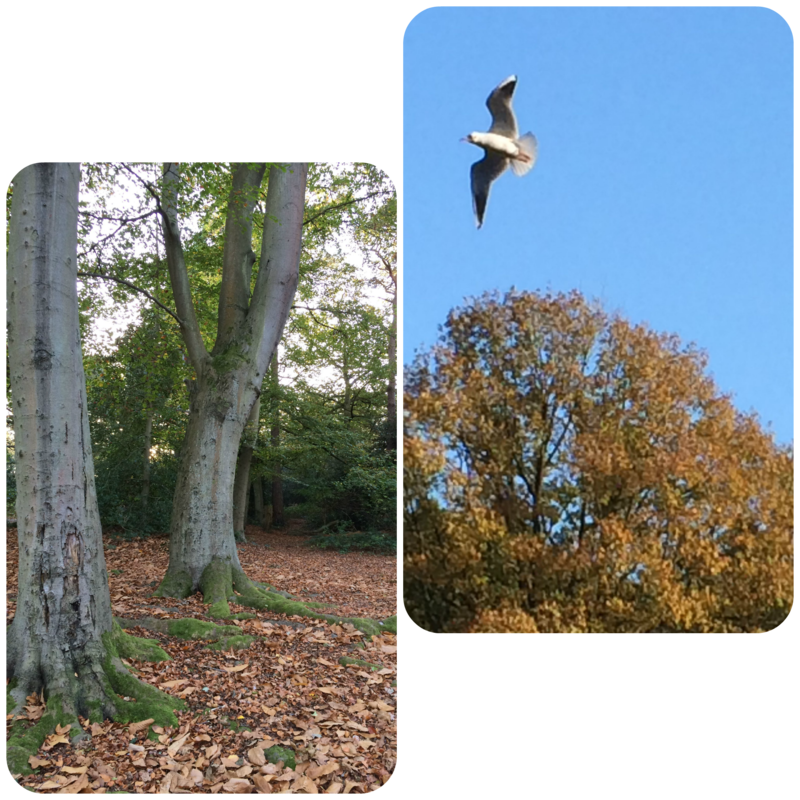 A physical item or image takes your mind on all sorts of mental journeys. I’m going to have to throw them out. They are too worn. They are uncomfortable now. They are grubby. But they are special. I bought them in July last year, in Sydney whilst on our silver wedding anniversary holiday. 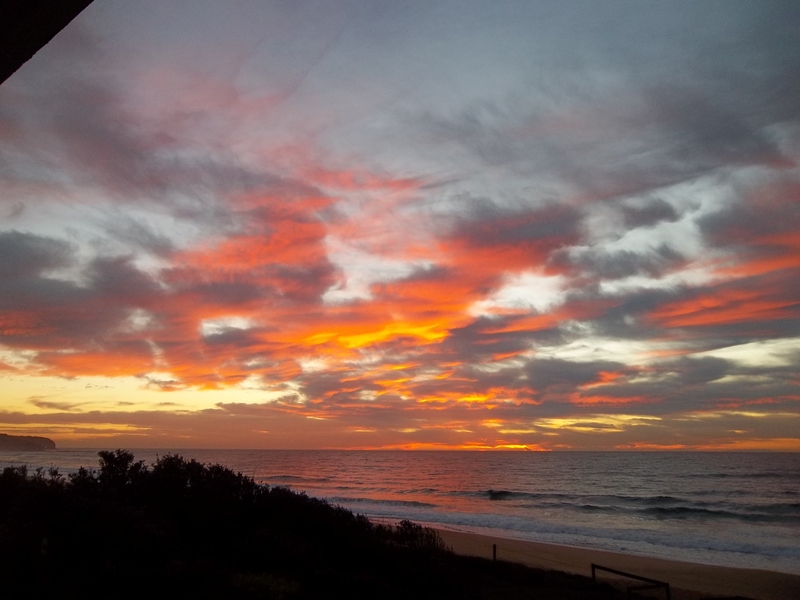 They were cosy as I spent many hours sitting out on our beach apartment balcony overlooking the Pacific Ocean, star gazing, watching the moon rise, watching sun rises, on special days, watching dolphins swim, jump and dive in the shallows. Midlife insomnia was a pure joy, not the usual nuisance. 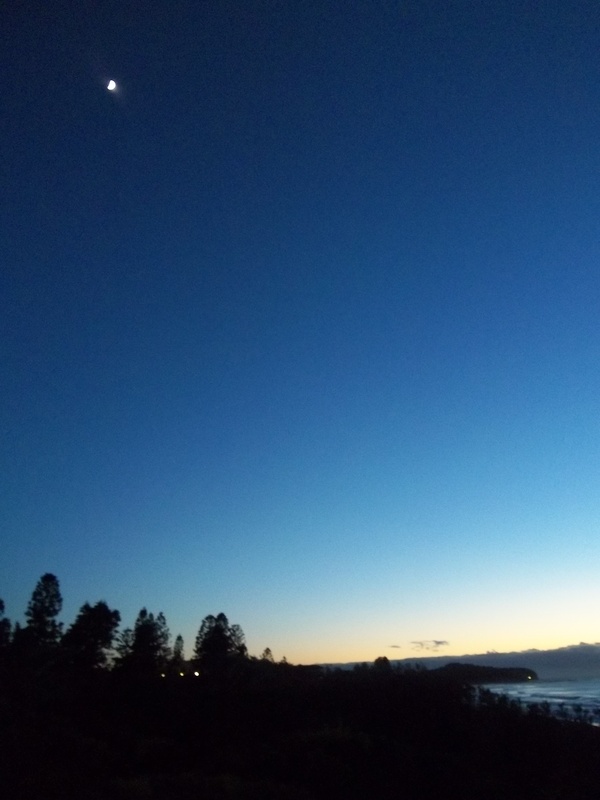 I’d wake at 2am to a beautiful clear sky, so I’d go and sit out on the balcony looking at the last quarter moon and southern stars. Some days I was too late to see the moon rise but I loved the sky. 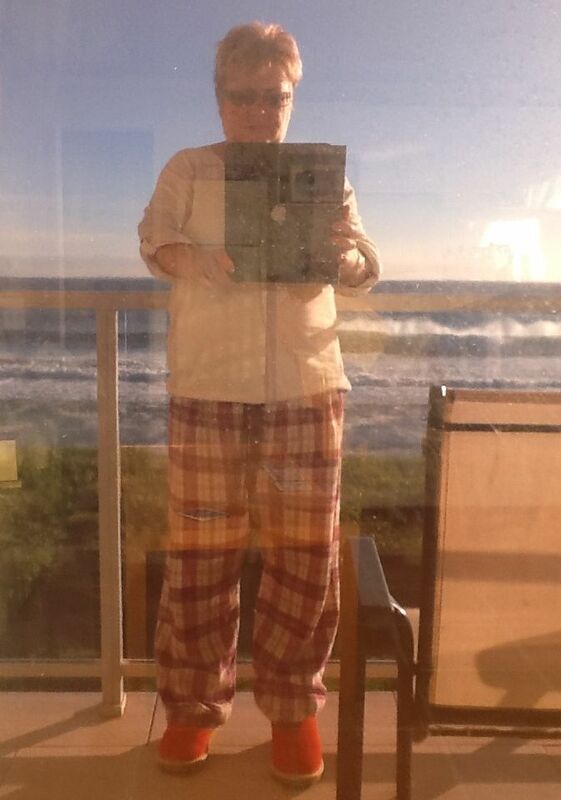 I used the ipad skywalk app to identify stars and constellations. I was awake and would stay up for a couple of hours, have a cup of tea, I did go back to bed for a few hours. I was very aware of the rhythm of life, the sound of the waves on the beach, the sound of Aussie Mate’s breathing next to me. It was all very calming, very peaceful. Back to nature, back to basics. I’ve never lived by the sea before. I’d get up again just after 6am as the sky began to lighten. Sirius and an upside down Orion was clearly visible out over the ocean. Again I went out on the balcony as I watched the sun rise behind distant clouds. Just stunning. Each day was a new spectacular sky scene. 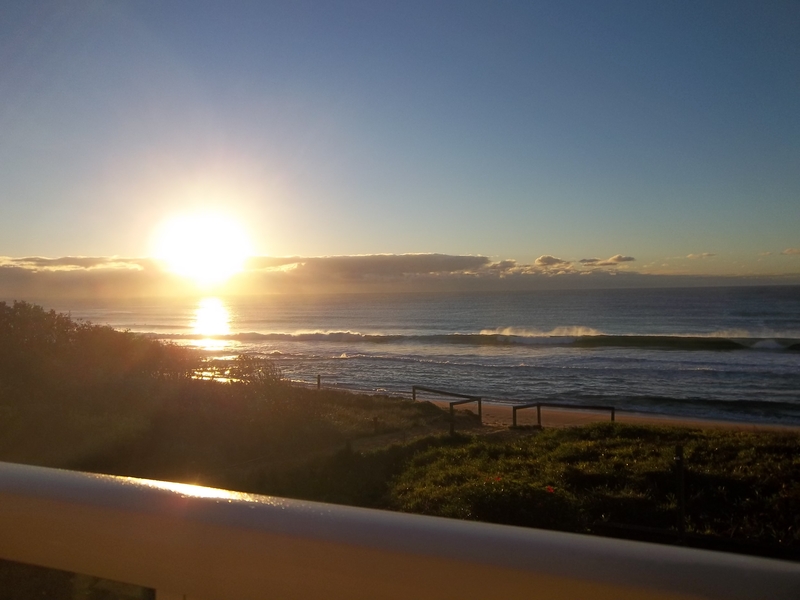 I loved “my balcony, my beach, my ocean”, some mornings there was the added bonus of eye candy with surfers out. It was interesting watching them and how the waves moved them along the beach southwards. 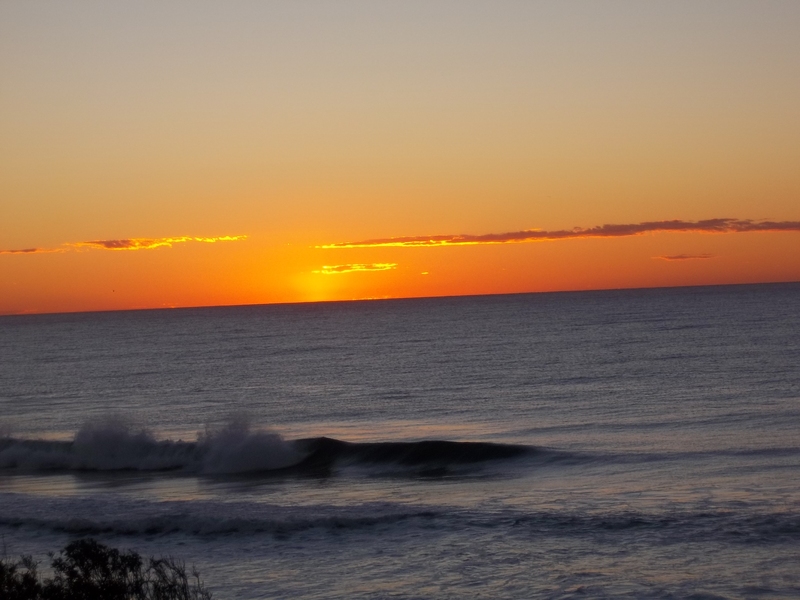 I soon learnt how the waves and ocean changed with the weather and onshore or offshore winds. I love my red uggs, so warm and comfortable. I have other uggs, but these have distinctive memories. The Irish have messed with my internal compass, with my sense of direction. 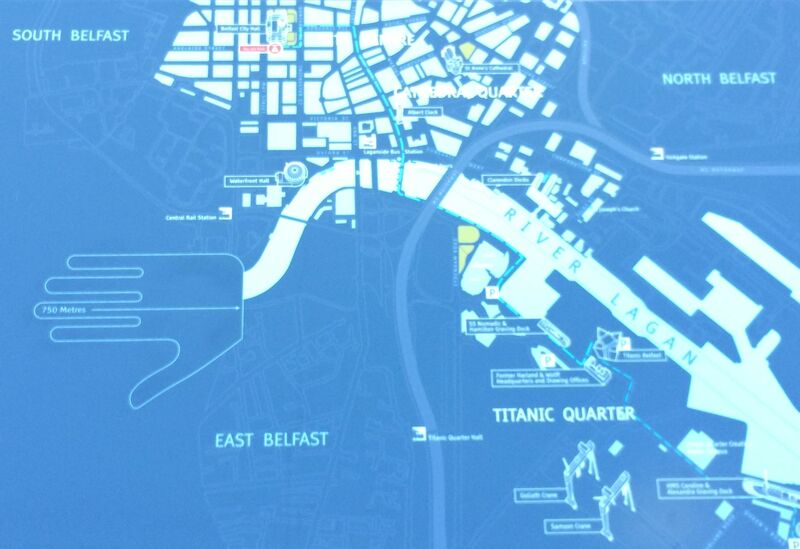 The tourist map showed north to the left. The first tourist information plinth we saw showed north to the right. My brain computes with north at the top. That was my excuse for getting lost occasionally whist walking around the city, and for getting cross with the sat nav lady when driving. I’m not sure how my internal compass will work when we move to the southern hemisphere. A long undecided dilemma in our family……in Sydney, when walking along George Street, Pitt Street, Elizabeth Street or Macquarie Street , do you walk up to Circular Quay or down to the quay?…….. Up because you are heading north or down because it is downhill? 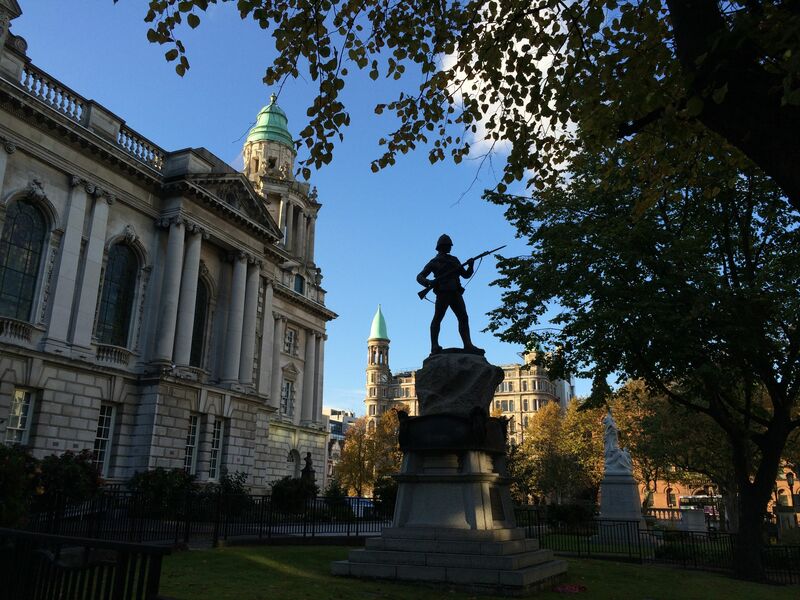 There were a few other quirky things we noticed in Belfast. We parked on the 2nd floor of a car park, walked down one flight of stairs and arrived at the ground floor……. ?The following day we took the lift and it only had buttons for even number floors. An odd comment came when we ordered two “eggs benedict” for breakfast. The waiter came back and said that they could only do one. We asked what ingredient they had run out of, to be told “poached eggs but we can do fried eggs for you.” That was when I started to worry about the food and how long ago the eggs had actually been cooked. We chose somewhere else for breakfast the next day, for fresh baked scones and muffins. 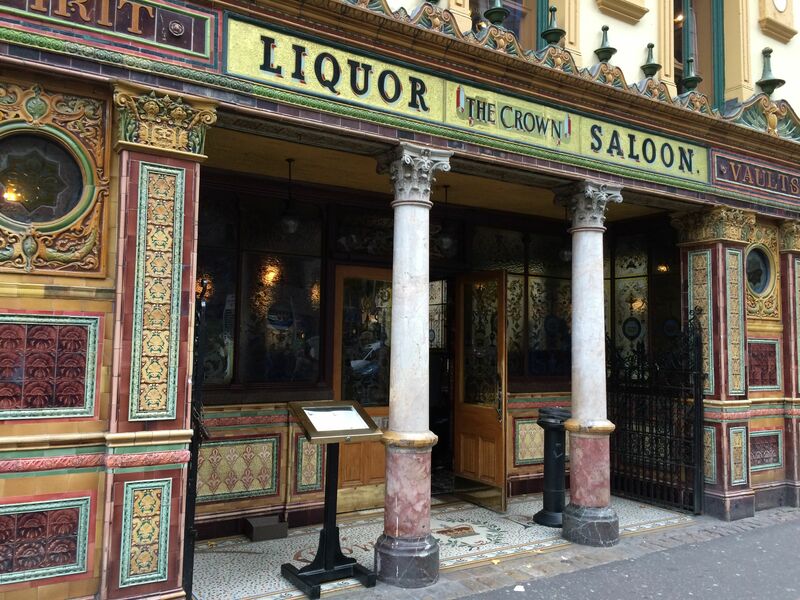 Northern Ireland – Londonderry – Whiskey, walls and peace. We didn’t have time to visit the Whiskey Distillery during our coastal day, so we drove across country to the town of Bushmills and had a tour of the distillery, learning about and viewing the whiskey making process, the bottling plant. The tour finished in the bar, with complimentary whiskey tasters. What a way to start our day. 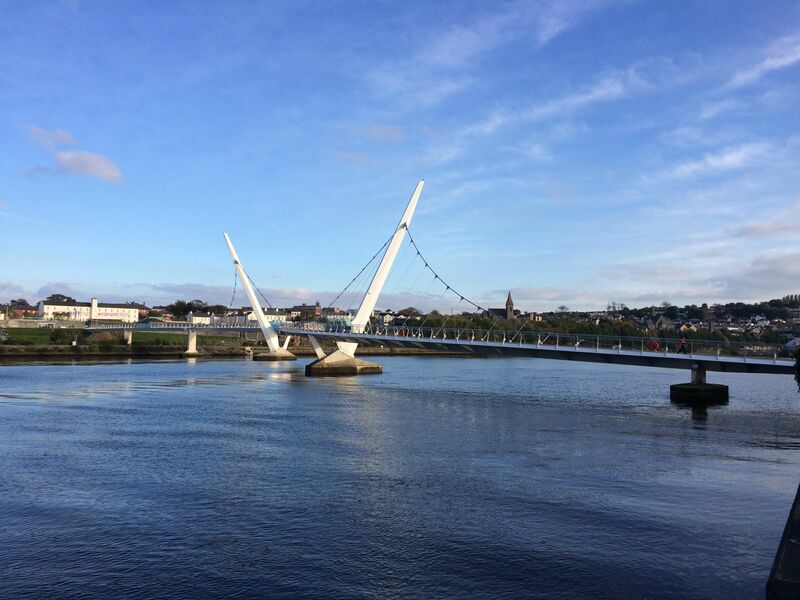 We drove to Londonderry. This city was surprising. Our first impressions were of quite affluent suburbs, with the city is spread out on hills sloping down to a wide river. It is a pretty place with lots of church spires. 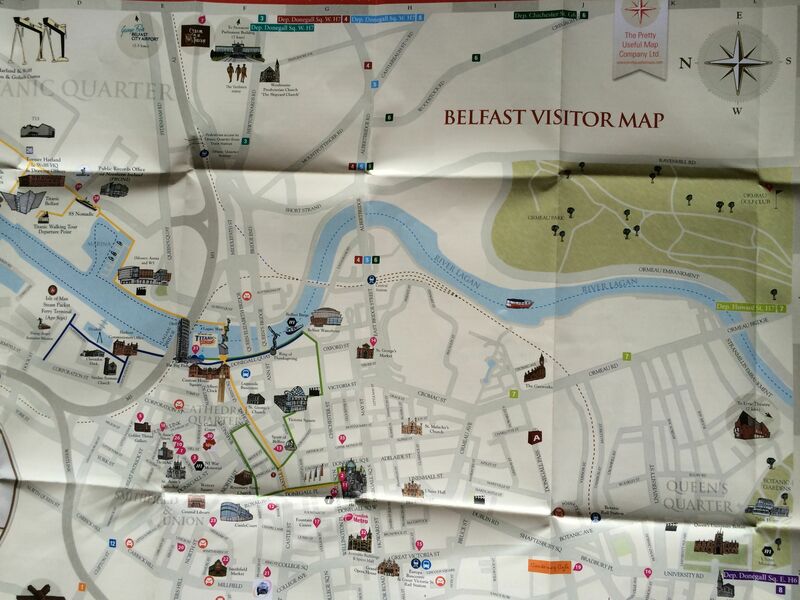 We parked in the city centre and found the tourist information centre, picked up a tourist map. 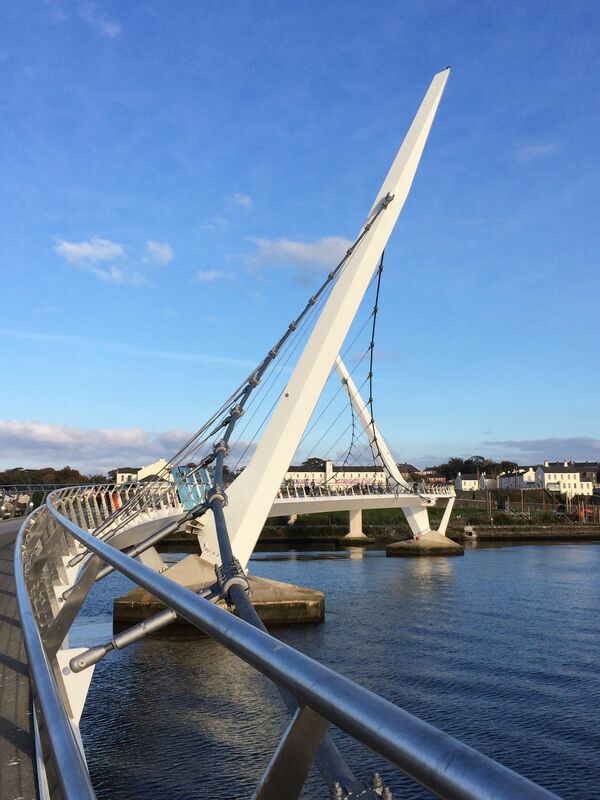 The Peace Bridge is an impressive footbridge that was completed in 2011. It has lovely lines, curves, with benches towards the middle. 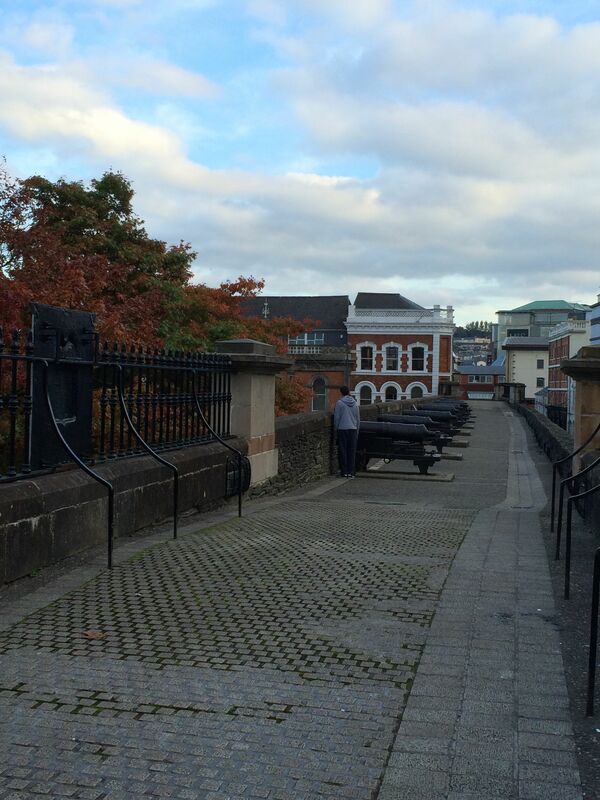 Londonderry is a walled city. The walls, built in the early 1600’s, are very imposing as they are up to 8m high and over 9m wide in places. There are several gates giving access to the inner city, originally some would have been drawbridges. There are areas with cannons still in position. The wall goes up and down with the contours of the city. New buildings are built alongside, giving a fascinating mix of old and new. 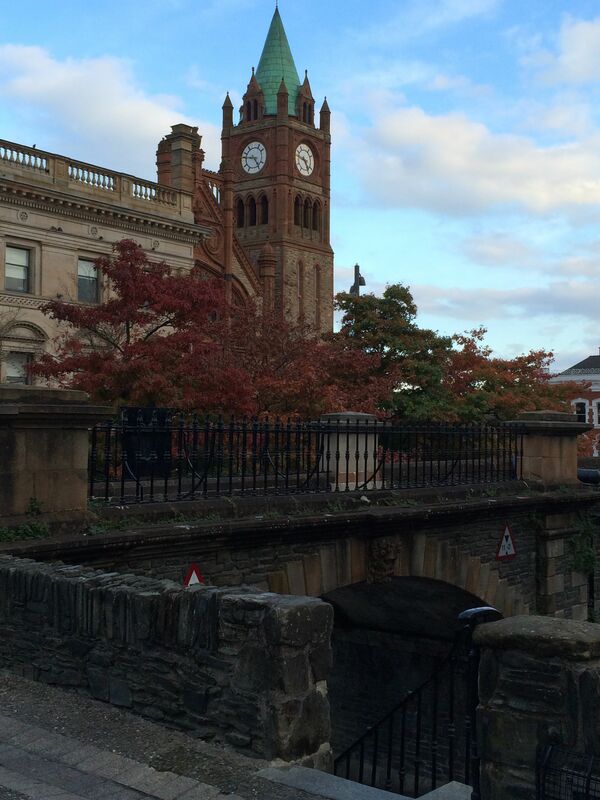 There is a grand Guildhall Building and clock tower between the walls and the Peace Bridge. This part of the old city and the river had a relaxed and spacious feel. The atmosphere changed dramatically as we drove to the area of murals. It is a long while since either of us has visited somewhere and felt uncomfortable. We did here. From the city wall, we had overlooked a suburb that was openly loyalist, with slogans painted on walls, red, white and blue kerb stones. By the murals, this area was blatantly republican with IRA slogans and flags. 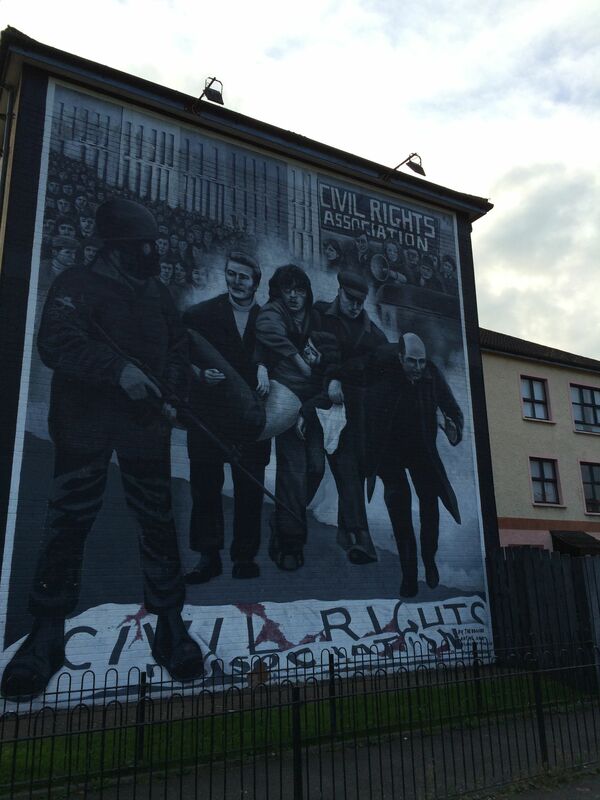 Murals depicted several images but notably a fourteen year old girl killed in 1971, and Bloody Sunday in 1972, There were memorials too for Bloody Sunday victims and to hunger strikers in H blocks in the Maze Prison in the 1970’s. I recognise names from news reports of that time. Bogside in Londonderry, Falls Road and Shankill Road in Belfast, Omagh, Enniskillen, all for tragic reasons. I also remember IRA bombings on the UK mainland, Warrington, Manchester, London Bishopsgate, Canary Wharf, Victoria Station, Hyde Park Barracks and other smaller incidents with offices and stations evacuated, small incendiary devices planted in pockets in fashion shops. We all lived with the underlying threat, coded warnings, disruptions and removal of litter bins in London. You lose a sense of time with history. 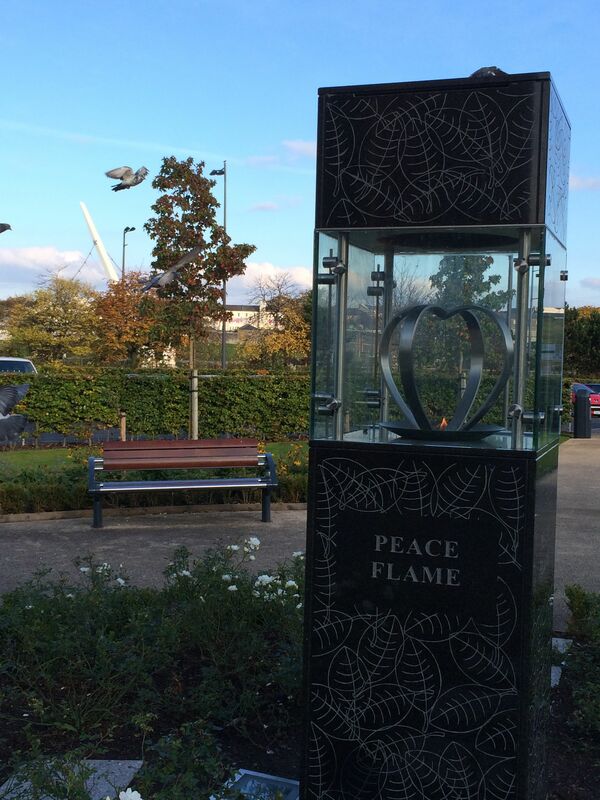 It is twenty years since the beginning of the peace process. The Peace Treaty was signed in 1998. During The Troubles, actors spoke the words of IRA leaders during the news reports. I remember hearing Gerry Adams speaking for the first time, although we were used to seeing his image, his actual voice was very different that expected. This is all recent history and a valid part of Northern Ireland which is recognised as such and included on their tourist maps. 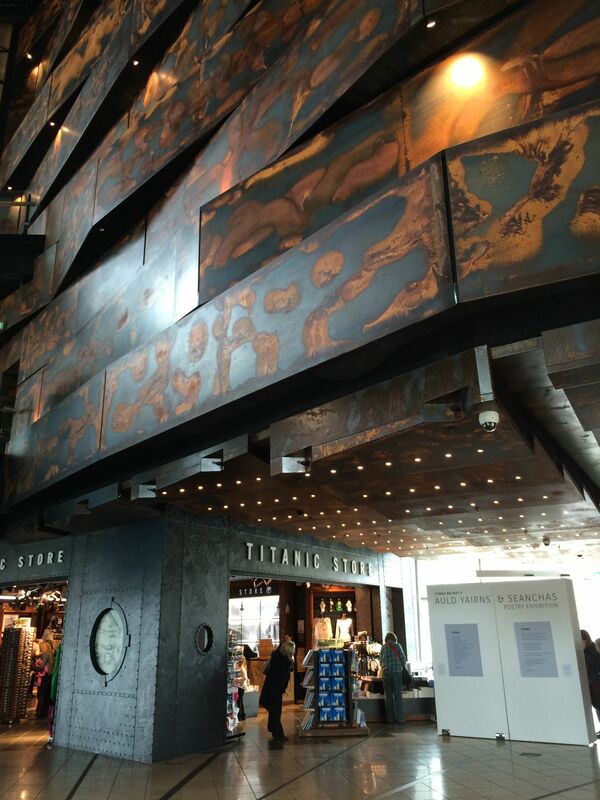 One positive aspect of visiting new places is when you want to learn more, know more about the history, the background, the people and timelines of events. We’ve googled while we have been away but I will certainly be reading more in the next few days. 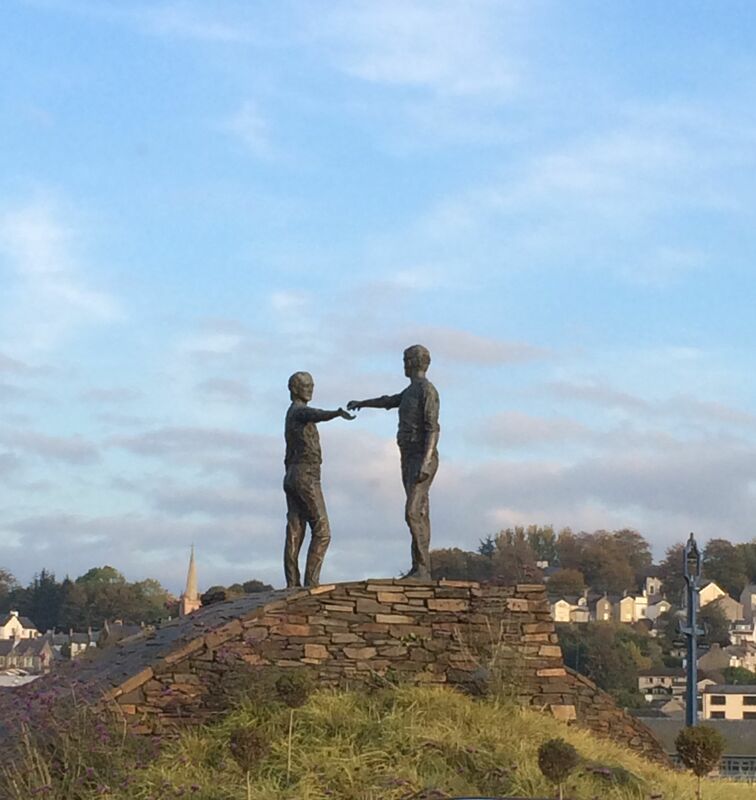 As we left Londonderry we passed the “Hands across the divide” sculpture, another visual image of the on going reconciliation in the city. The drive back to Belfast was across rural areas and moorland, past the “highest pub in Ireland”. It was a fascinating day of contrasts. We spent our final morning in Belfast driving through some of the areas associated with The Troubles. The republican Shankill Road and loyalist Falls Road are astonishingly close together. There are murals and slogans on the buildings in these areas, flags flying and memorials to the past. 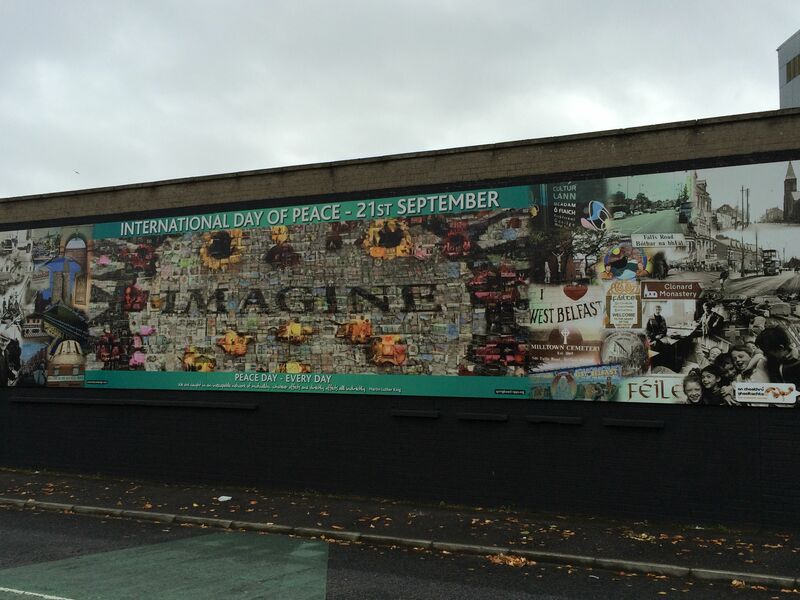 Along with the Peace Wall that divided the neighbourhoods, there is now an International Wall, showing the ever changing murals of global conflicts. We spent an hour at the Ulster Museum, which had some interesting exhibits in the mix of history, nature and art zones. After four sunny autumn days, we left Northern Ireland on a grey cloudy day, back to rain again in London. It has been an excellent mini break, ticking off things on our bucket list, but it has also surprised us and exceeded our expectations. 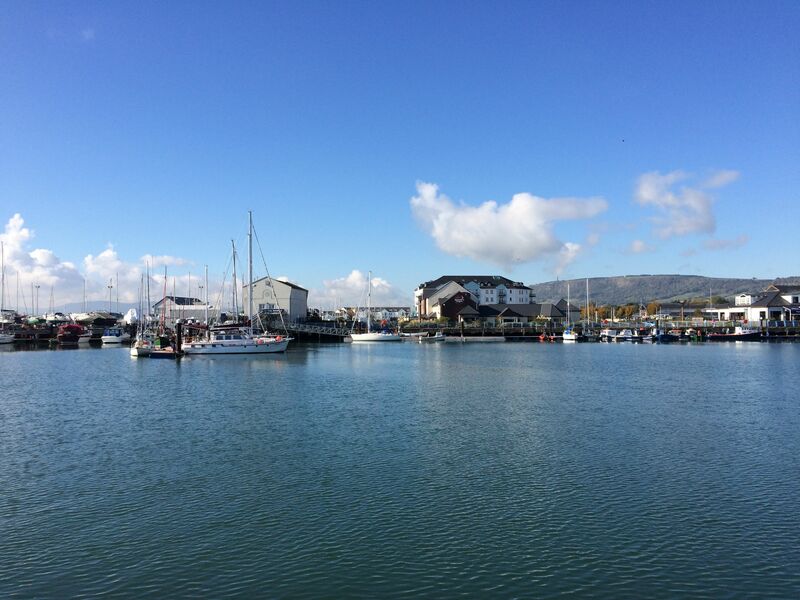 Northern Ireland – Coast, castles and giants. The coast road that runs northwest from Belfast is striking as it hugs the edge of the land and runs through towns and villages. 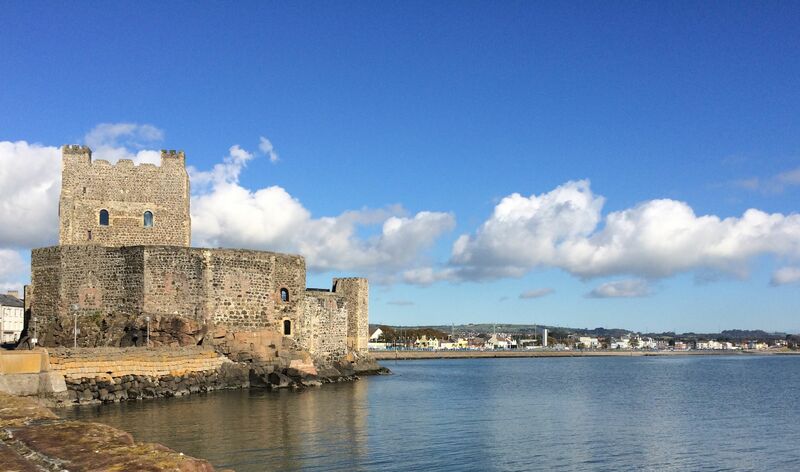 The castle at Carrickfergus appears on the skyline as you approach the town. A stone fortress overlooking Belfast Lough as it opens to the Irish Sea. 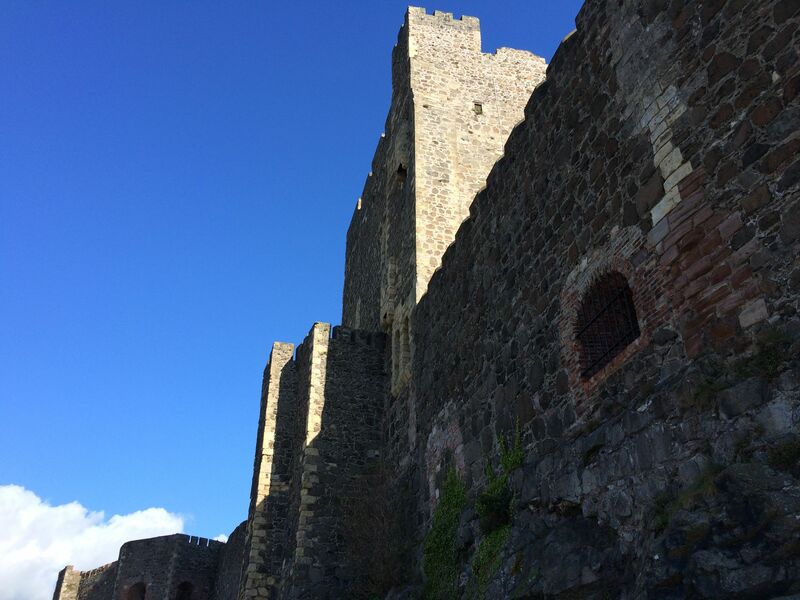 The castle has 800 years of history up to WWII, besieged over time by the Scots, Irish, English and French. Beside the castle is a pretty harbour and marina. It was all very quiet and sleepy, not much happens on a Sunday here. The road runs inland for a while but between Larne and Cushendall it is right on the edge of the land, with alternative meadows, rocks, cliffs on one side and sea on the other side. The views of the coast ahead are stunning, with headlands, coves, some small beaches, villages on the way. Galloway and the Mull of Kintyre are visible across The Straits of Moyle. I hadn’t realised just how close Scotland is to Ireland. 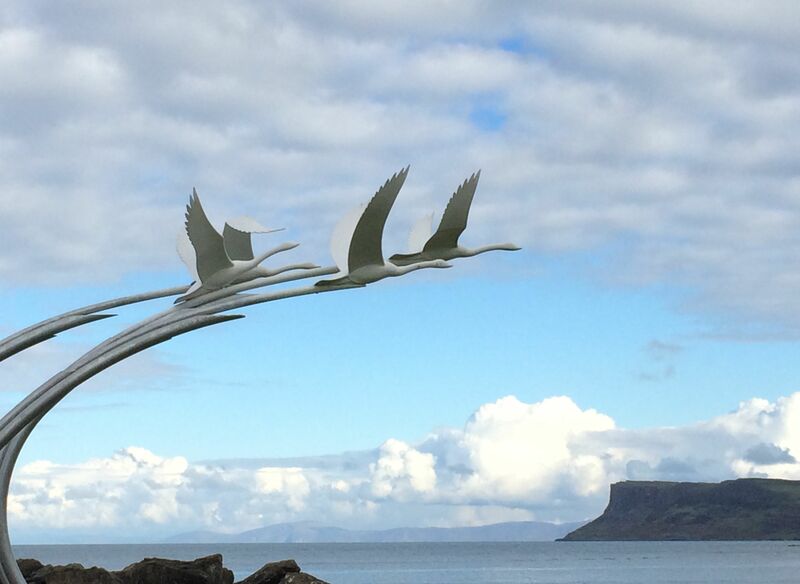 The road cuts across the moors to Ballycastle, a nice little town with park overlooking river and beach, with more stunning views back along the coast. 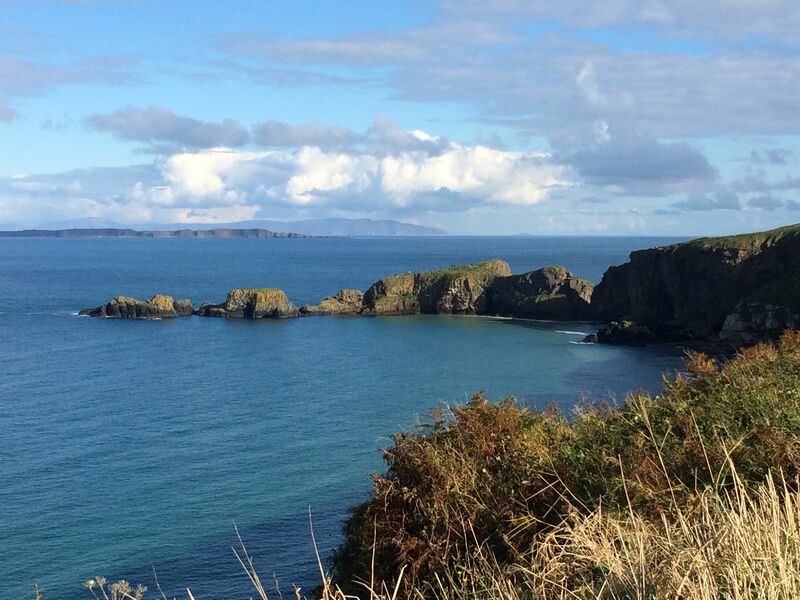 Carrick-a-Rede was an unexpected delight. 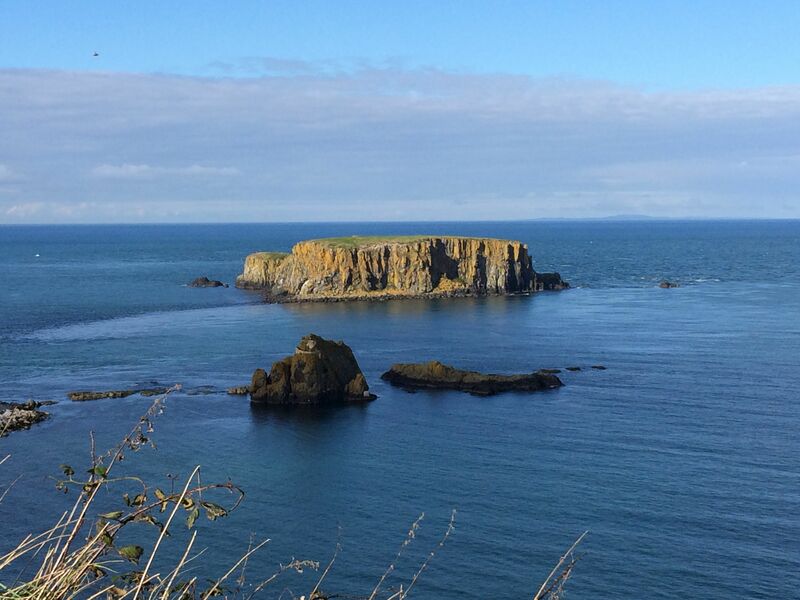 A rope bridge links Carrick Island to the mainland. Atlantic salmon have been fished in this region for over three hundred years and fisherman strung a rope bridge thirty meters above the sea and rocks to get to the migrating salmon. Access is via a section of coastal path, with lookout points, wildlife, plants and some steep steps along the way. 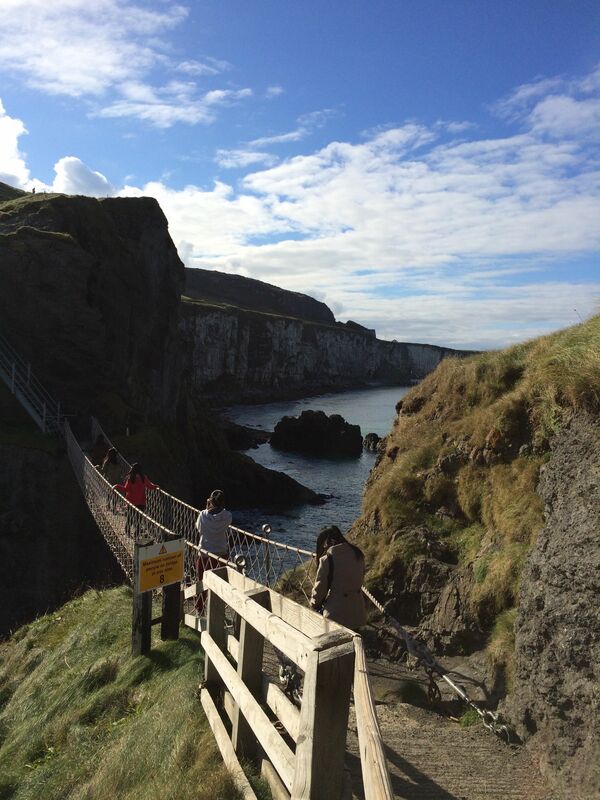 For someone who does not like walking on piers, slatted steps, or anything see-through, the rope bridge was a challenge but worth the effort for the views. I followed the oldies rather than the group of lads who were happy to lark about, jump and sway the bridge as much as possible. The northern coastline is spectacular and we were lucky to have good weather so the blues of the sea and sky were vivid contrast to the rocks, fields and heathland. The most northerly part of Ireland is actually in Southern Ireland, the Republic, in County Donegal. 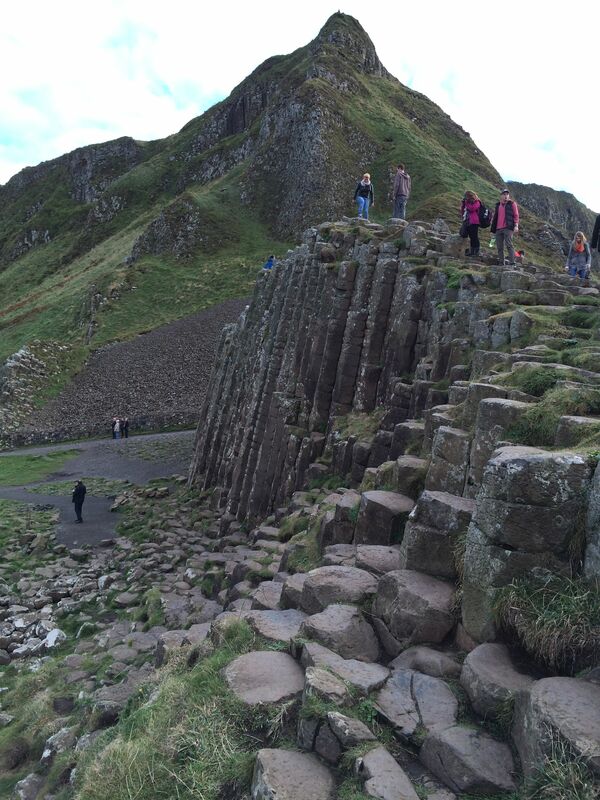 The Giant’s Causeway was one of our main reasons to visit Northern Island and it surpassed our expectations. Entrance to the causeway is through an informative visitors center. The audio guides provided history, background and myth as we walked the sloping winding road down to the causeway itself. It is hidden for much to the approach, and is simply stunning once you do get there. 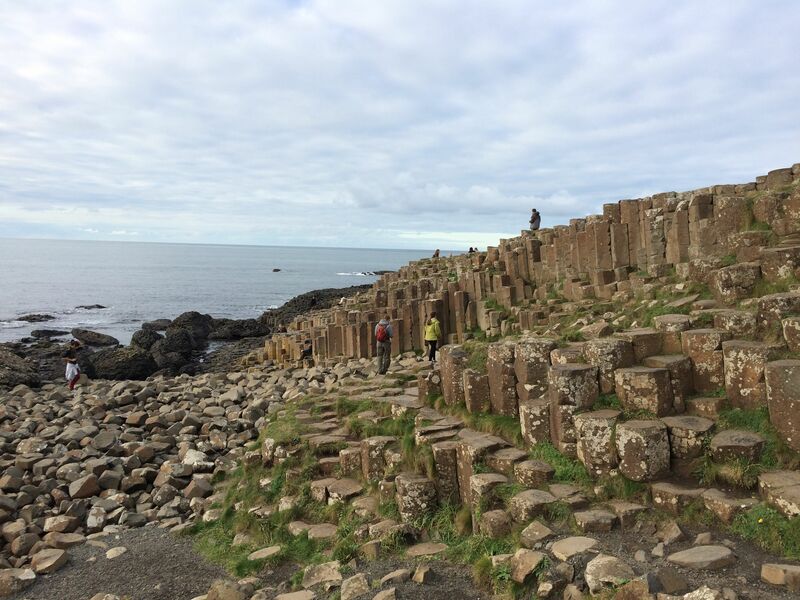 The causeway is made up of thousands of basalt columns, mostly hexagonal but some with more or fewer edges. These basalt rocks formed from molten lava that cooled slowly, cracked on the surface but also through the depth of the columns. The columns are at various heights, some with convex surface, others concave. It is just fascinating to walk across the causeway, climb the different angles and columns that make up this natural pavement. 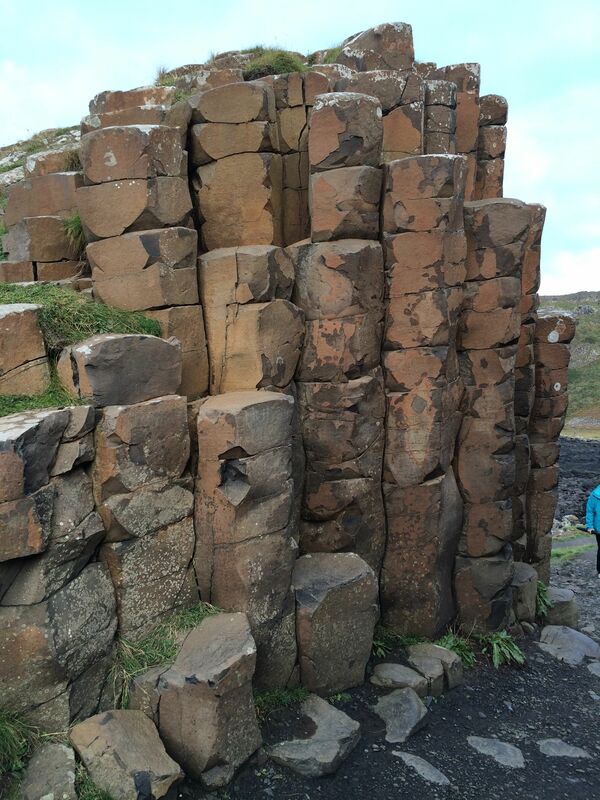 There are similar basalt columns at Fingal’s Cave on the Scottish island of Staffa. 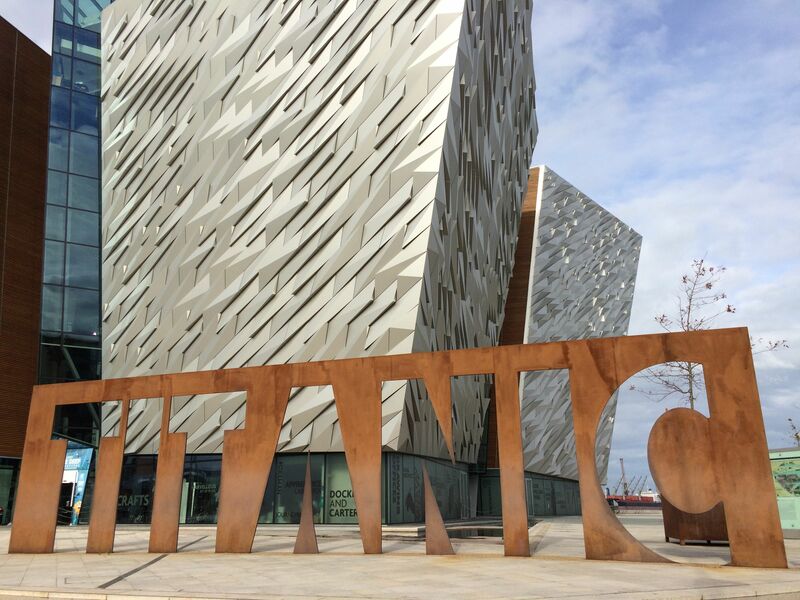 Legend tells the story of the Irish giant Finn and his Scottish rival Benandonner, how Finn built the causeway so he could step across the sea without getting his feet wet. However, when Finn saw the other giant he hurried back home afraid and hid, disguised as a baby. Benandonner gave chase, but on seeing the size of the baby, he assumed the father must be a gigantic giant, so he fled back to Scotland in terror, ripping up the causeway as he went. 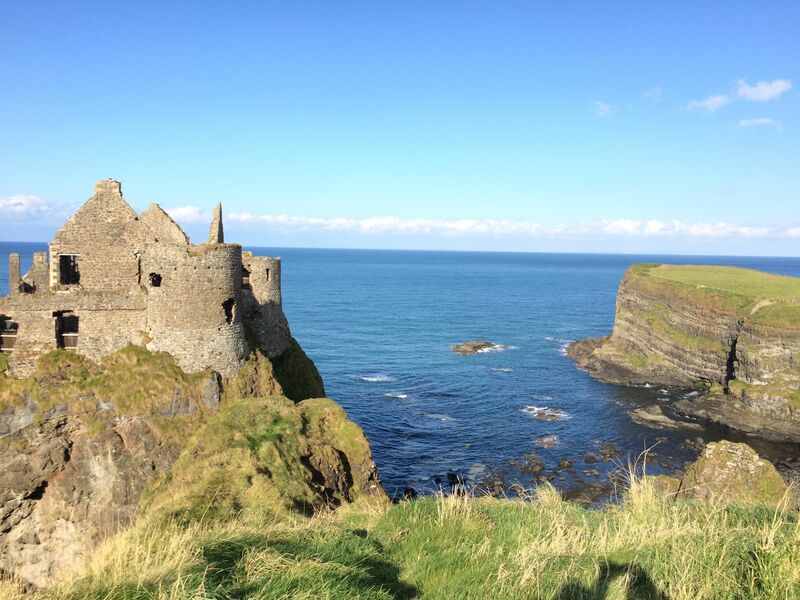 Our final stop on this northern section of coastline was the ruins of Dunluce Castle. 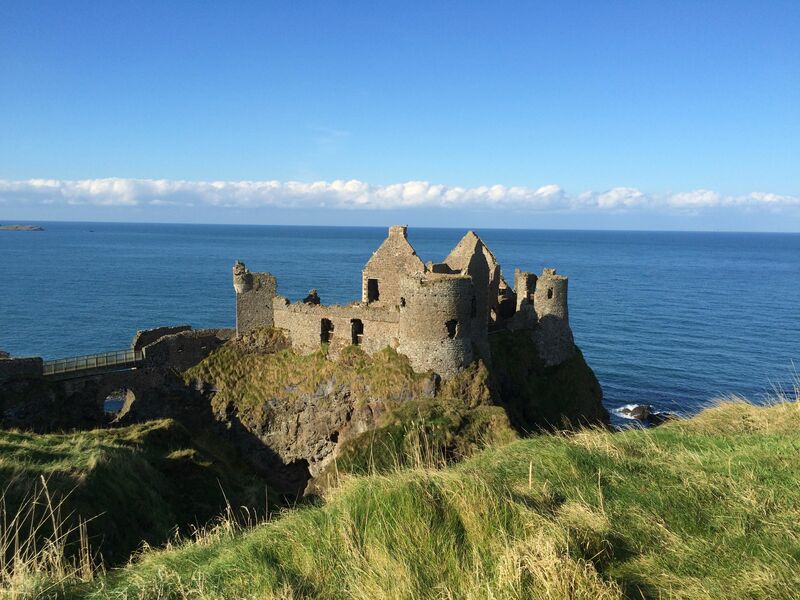 The castle sits precariously on a headland, has medieval history before it was abandoned in the seventeenth century when part of the castle fell into the sea during a storm. What makes something valuable? It seems to be a very personal thing. 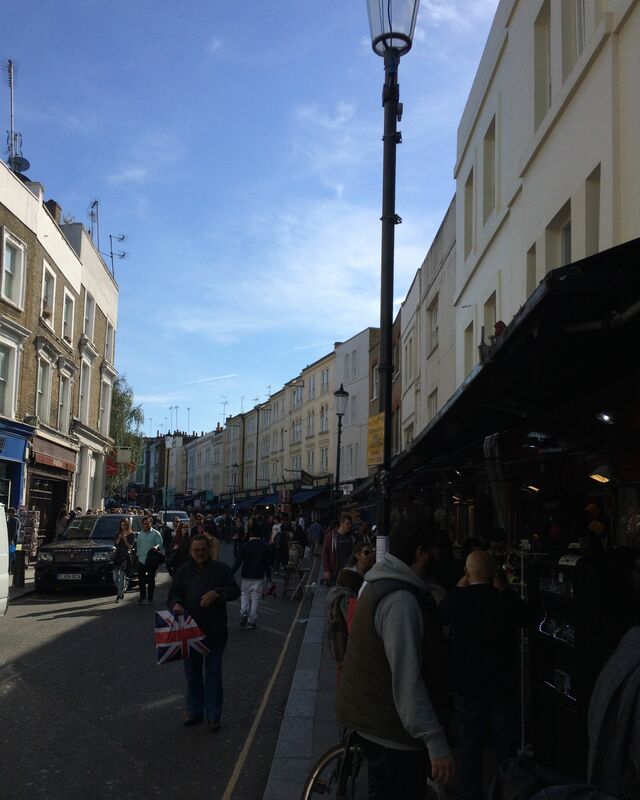 Last Sunday, we went to Portobello Road to experience the famous street market. We’d never been there before. It was a lovely sunny day. There was an eclectic mix of people browsing. There were quirky tourist shops and stalls, boutiques, vintage clothes, art, memorabilia and antiques all mixed along the road. It had a relaxed and friendly vibe, but unique, different from other market areas in London, such as Camden Lock, Covent Garden, Brick Lane or Borough Market. They all have their own feel and niche. 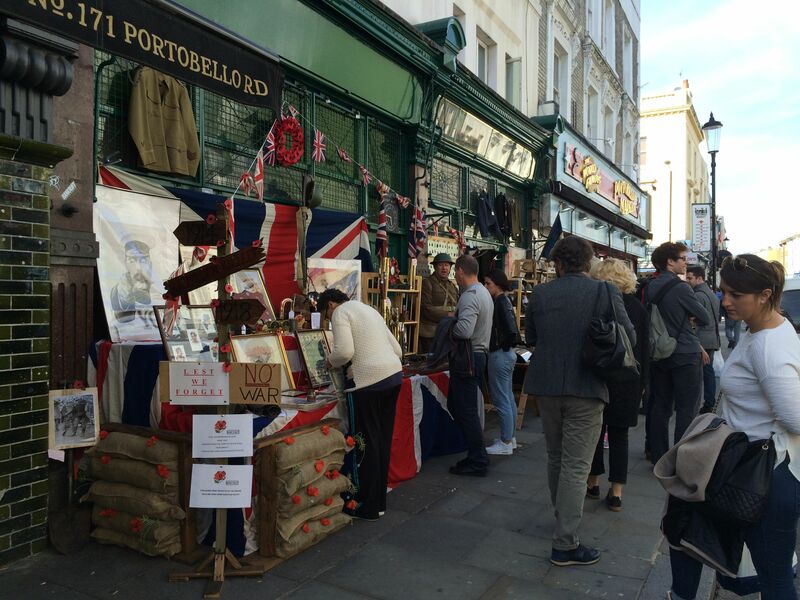 Portobello Road has been known for antiques since the 1950’s although the market itself goes back to early 1800’s. 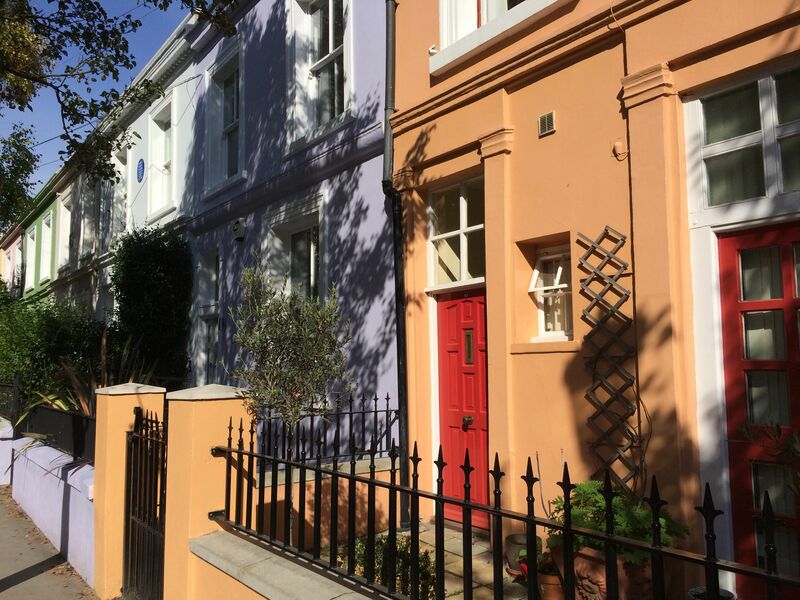 We walked past some lovely houses, in this Notting Hill area. A blue plaque marked George Orwell’s home in 1927. We enjoyed perusing the shops and stalls. However, when we got home we looked at our own possessions with different eyes. Especially the things we have decided not to store, but to give away, pass on or throw out. We are keeping things for nostalgic reasons. We are packing some ornaments or things with sentimental connections. I haven’t sorted photos, I’ve just put them in a storage box. It would be nice to go through them all when both daughters are here. Clothes are interesting, and it is difficult to part with some old favourites, even though they are past their best. I guess some of our things could be classed as vintage and may be valuable if we had the time or inclination to sell them. It seems one person’s tat can easily be another person’s antique. That is what makes us all interesting and individual and makes the world such a fascinating place. 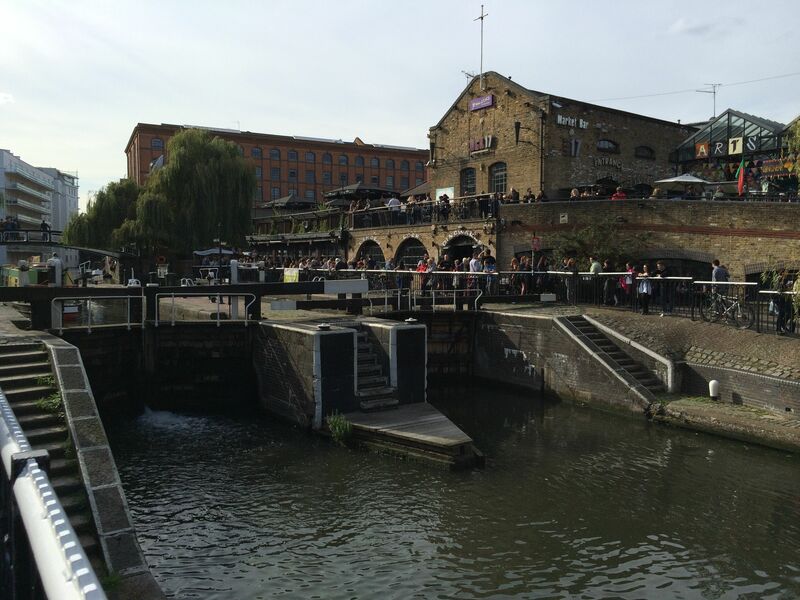 As a contrast to Portobello Road, we went up to Camden Lock in the afternoon. It’s another great London market, which was very crowded, very loud. There were lots of arts and crafts along with food stalls of all description, which created a heady mix of aromas. The kids love the clothes, shoes, fashions that have originated here over the past forty years.